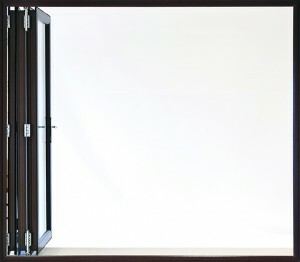 Now your customers can open up a whole wall, two corners or even a balcony with our stylish bi-fold doors. 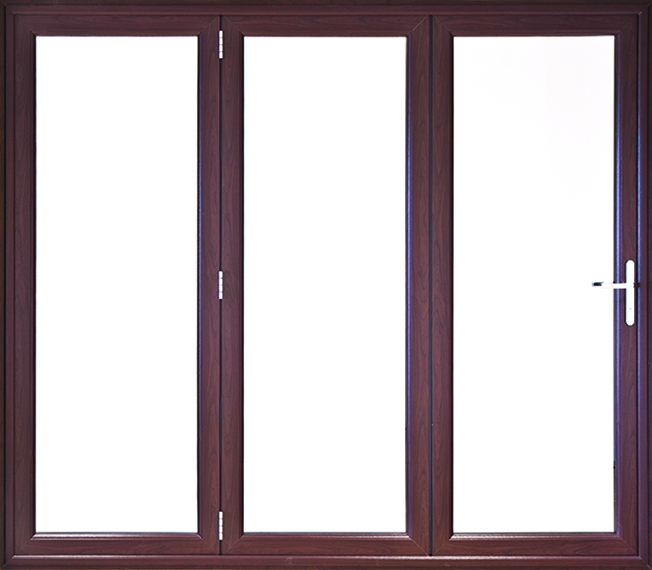 Doors can be stacked open at one end, or at both ends, or one panel can be opened like a conventional single back door or a pair of patio doors. 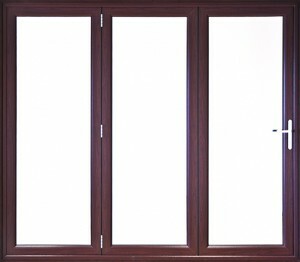 They can choose the same colour for both sides, or a different colour for the side that faces into the room. 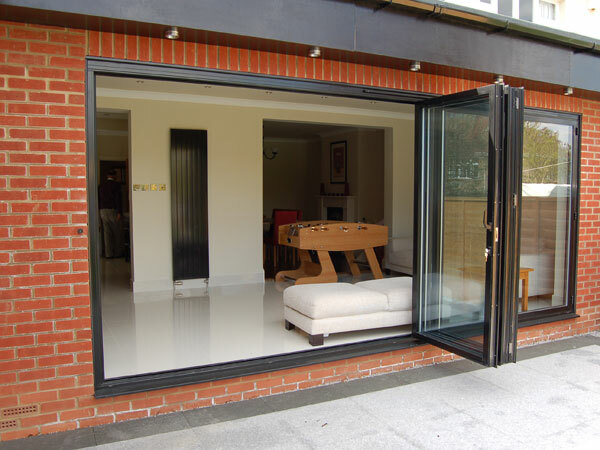 The bi-fold door system is built up using a frame in which moveable parts or elements are placed in such a way that it is possible to fold up the elements to the left or right. 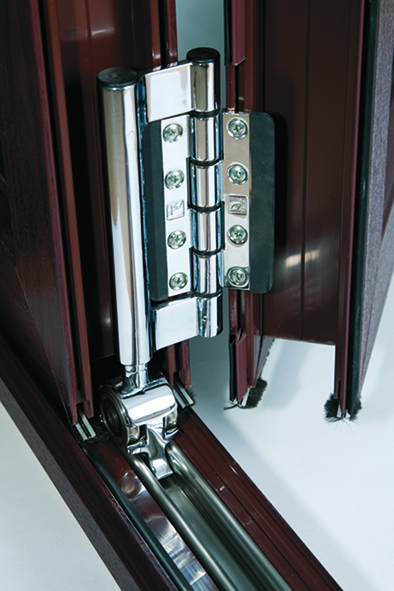 These elements or sashes are supported and hinged to a mullion. 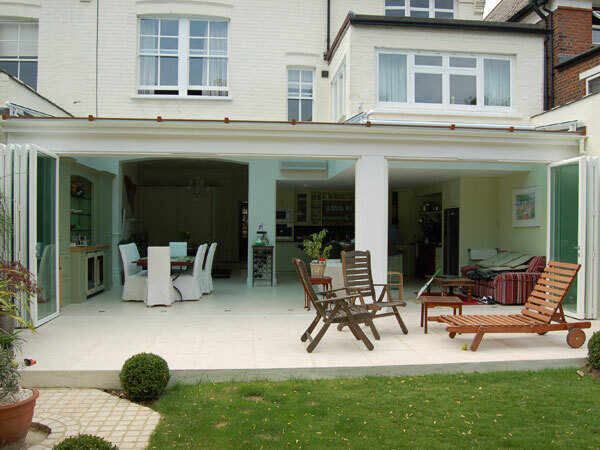 At the bottom the mullion is supported by a roller mechanism which slides along the cill profile while at the top, the mullion is guided by another roller mechanism. 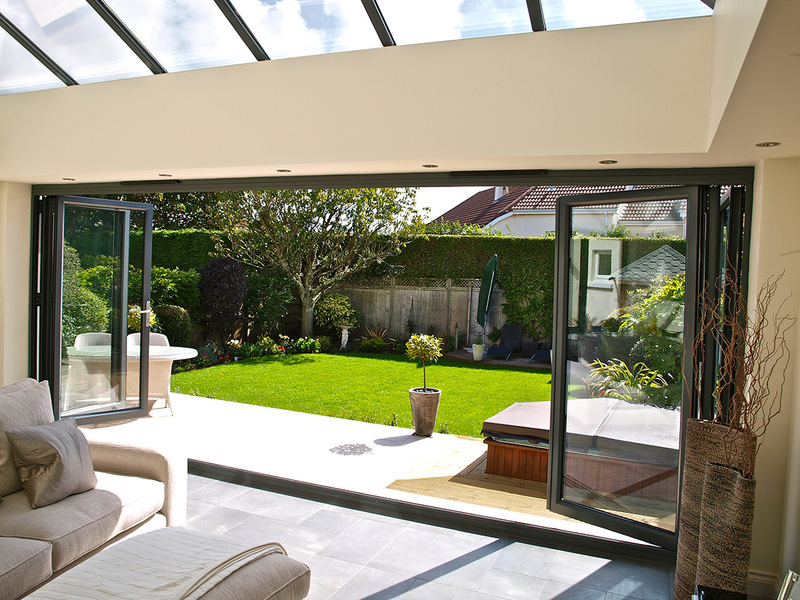 There are many possible combinations of elements and opening schemes. 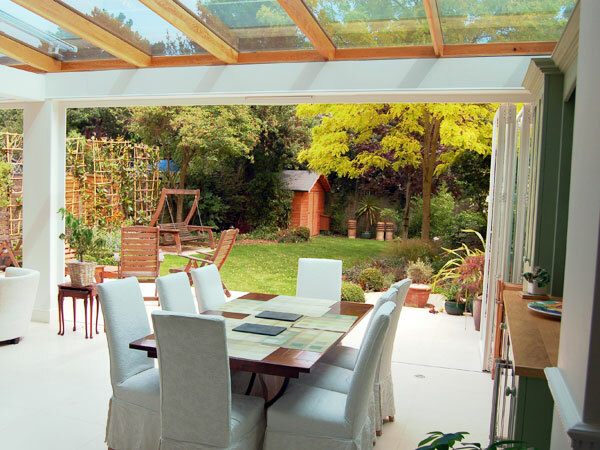 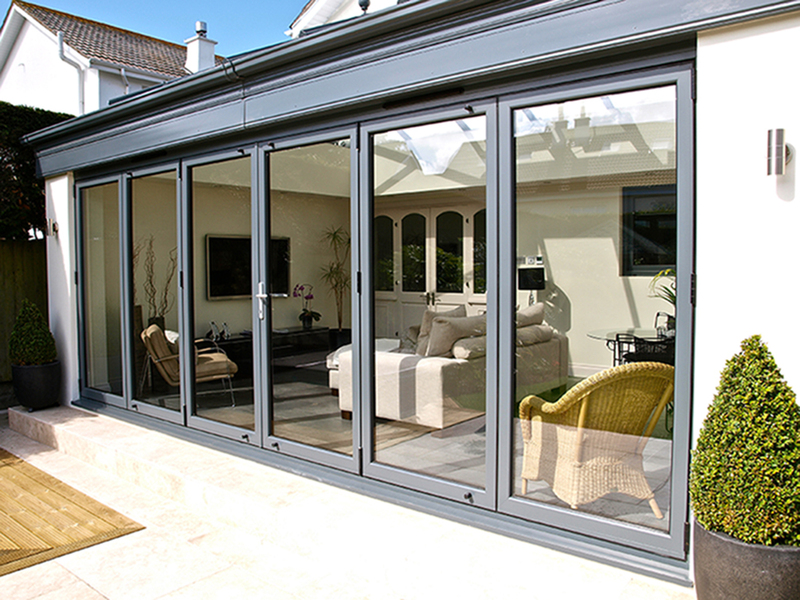 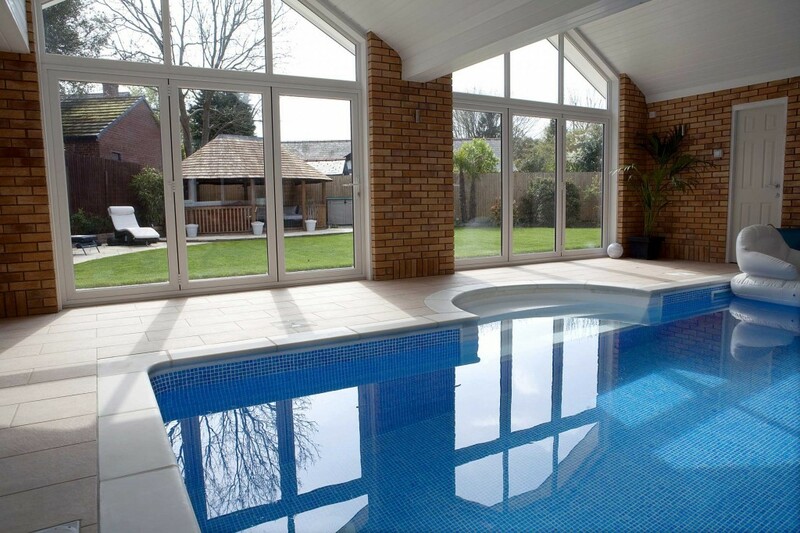 To find out more about our bi-fold doors, talk to us or visit our showroom.